Summer is coming up so I've prepared something just in time for the summer - some colorful and fun scrunchies. 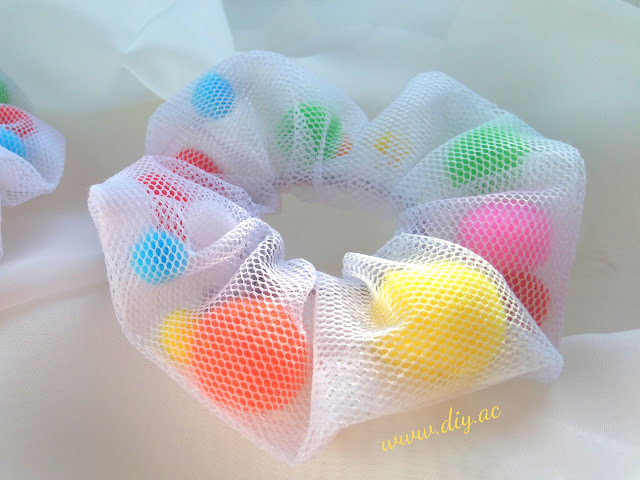 It can be a great handmade gift for girls which you can make in your own way - use your creativity and put not only the pom poms into your scrunchies, but also some beads, sequins, ribbons, fabric scraps... or change the tulle for another transparent fabric. Tulle is difficult to sew, but - don't worry - in this project your stitch doesn't have to be perfect. 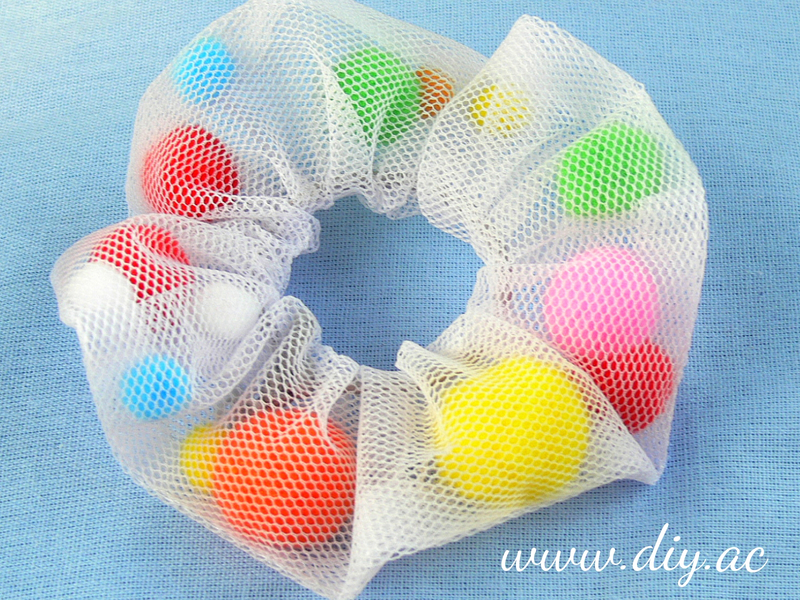 If you wrinkle your tulle tube, the imperfections won't be visible. 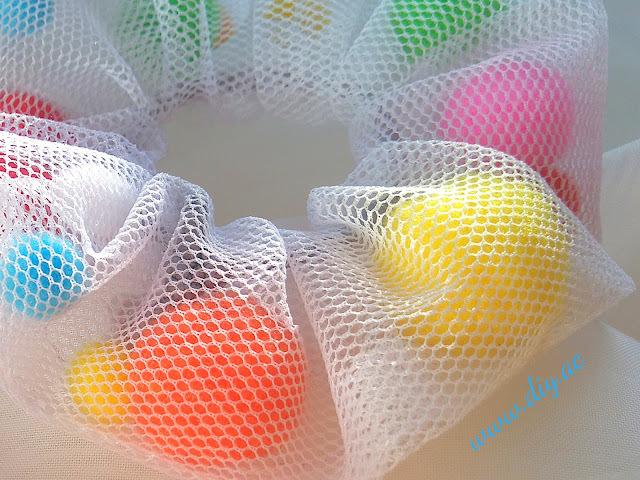 When you tie the two ends of elastic together - put the pom poms inside your tube and then stitch up the gap. Great craft for kids. These printable cupcake toppers are easy to make and it takes 20 minutes (or 25 maybe...). 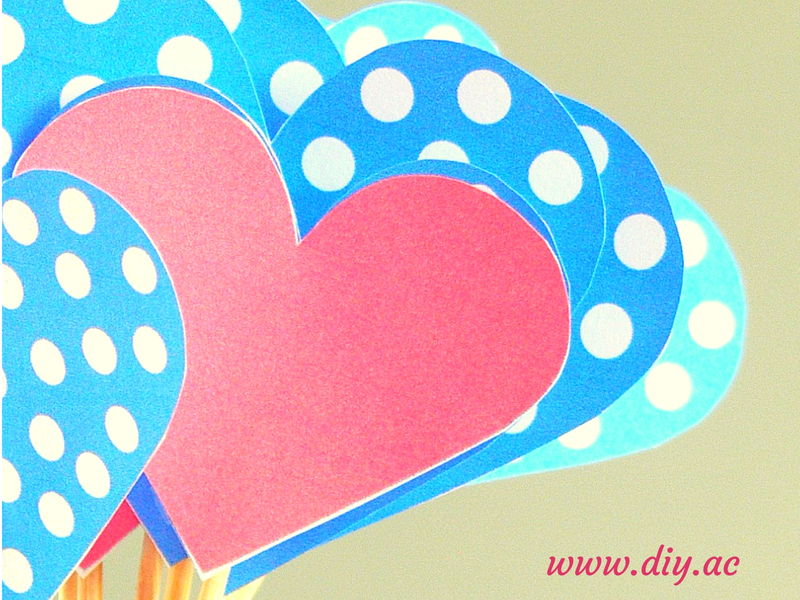 They're perfect for Valentine's Day, Birthday, Mother's Day or any children parties. Looking for an easy craft for kids? This Very Friendly Caterpillar is a great Valentine’s Day craft and fun activity to make during winter time. Children can practice cutting circles to help them develop their scissor skills. New Year! New Simple Project! 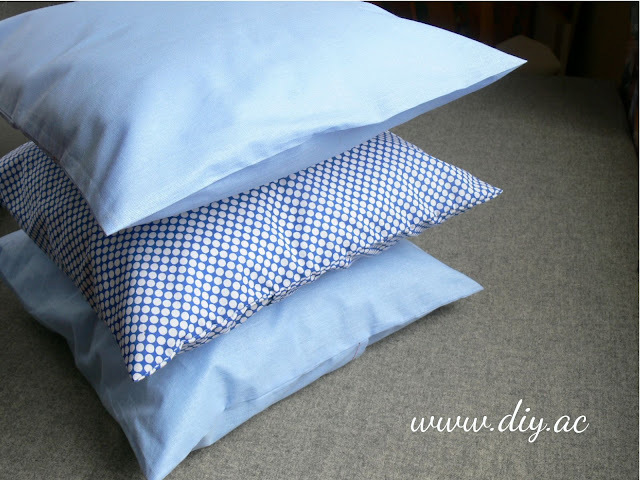 Today I’m going to share a tutorial showing you how to make a basic pillow cover from one piece of fabric (without any zipper or buttons). It's a good project for beginners and a great idea for the last minute gift.